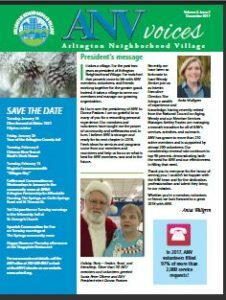 Check back here from time to time for information on Arlington Neighborhood Village news and upcoming events. Our Care Manager Pilot Program. This entry was posted in What's New on 02/25/2019 by Susan. 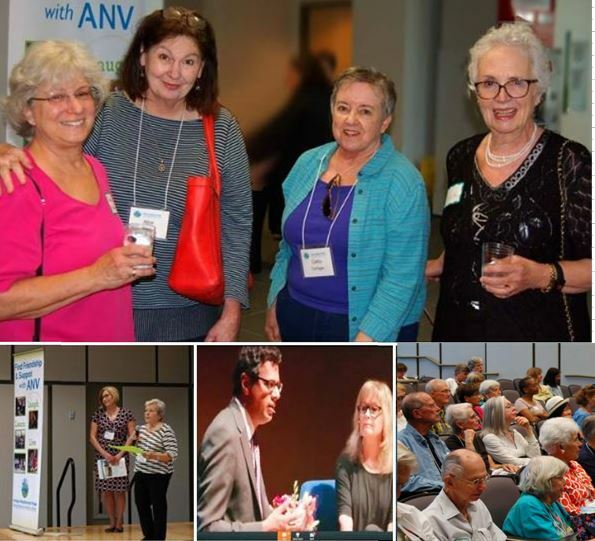 ANV is seeking a part-time Volunteer Coordinator (paid position) to help us better recruit, manage and engage our volunteers. Please share this job posting with colleagues and help us find the right person who is ready to make a difference in the lives of Arlington seniors. This entry was posted in What's New on 02/22/2019 by Susan. New Issue of ANV Voices is here! Read the Fall issue of the ANV Voices newsletter and catch up on the news. Explore what’s ahead here. This entry was posted in What's New on 11/16/2018 by Susan. 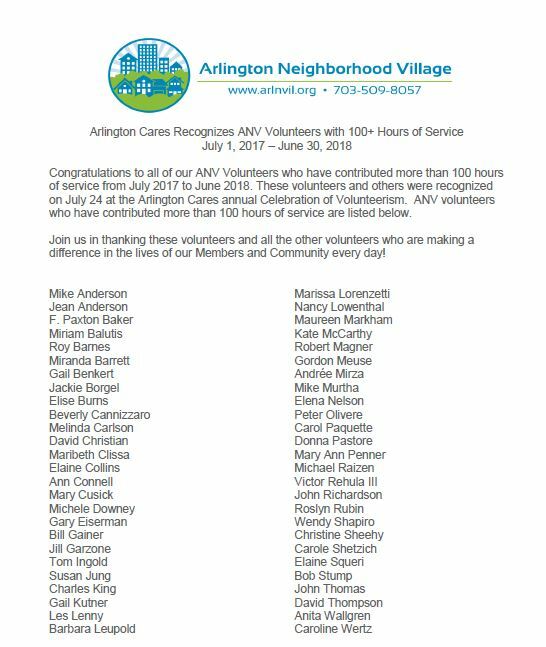 Join us in congratulating ANV’s volunteers who were recognized at the July 24 Arlington Cares celebration, each contributing more than 100 hours of service. This entry was posted in What's New on 10/31/2018 by Susan. 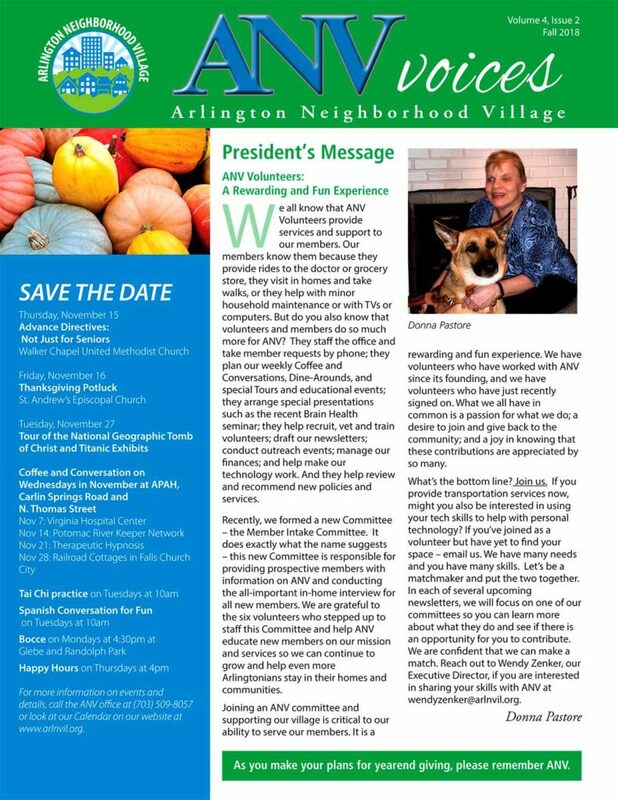 ANV is on the cover of Arlington Connections! Read about ANV’s successful fundraiser with local restaurant Sushi-Zen held on June 20, 2018. This entry was posted in What's New on 06/27/2018 by Susan. ANV is hosting a fundraiser with the Sushi-Zen restaurant in the Lee/Harrison Shopping Center – all are welcome. 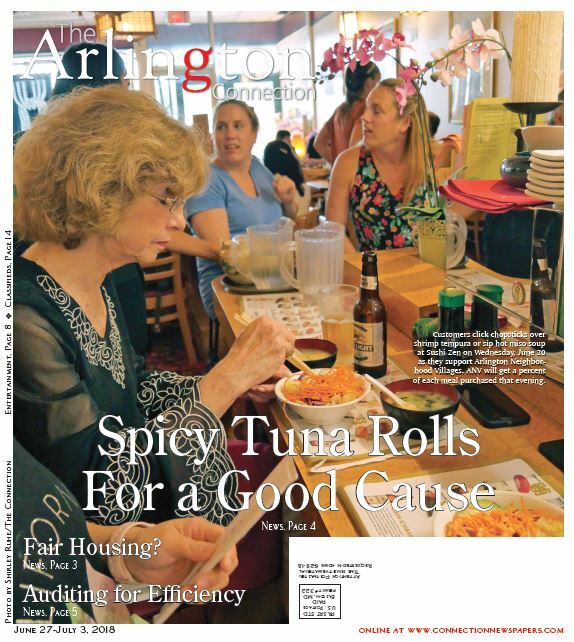 Sushi-Zen is celebrating 20 years of serving Arlington residents by honoring local non-profit organizations and sharing a percentage of the evening’s proceeds with ANV. The secret to success is having a large turnout, so please share with your family, friends and neighbors. Everyone who dines in or gets takeout (from 5pm to 9:30pm) is counted, as long as they hand in a flyer with ANV’s name on it. Download the flyer here. This entry was posted in What's New on 05/17/2018 by Susan. 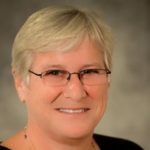 Arlington, VA: Arlington Neighborhood Village (ANV), a nonprofit dedicated to helping older residents of Arlington County continue to live in their own homes, has new leadership with the hiring of interim executive director Wendy Zenker to the full-time role. Wendy served as a Senior Executive in the Federal Service at the Office of Management and Budget, and as Chief Operating Officer of the Corporation for National Service, which oversees the AmeriCorps and Senior Corps programs. ANV came on the scene in 2014 as part of the growing “village movement” which seeks to help aging Americans stay in their homes and communities. ANV members pay an annual fee in return for support services and social programs delivered by a cadre of committed volunteers. Support services include rides to appointments, home technology support, minor household and yard tasks, and errands. Social activities include weekly gatherings, dining out, historical and cultural tours, health and wellness programs, and more. This entry was posted in What's New on 03/05/2018 by Susan. Winter edition of ANV Voices is hot…off the press! Take just a few minutes with the Winter issue of ANV Voices to reflect on our accomplishments, then find out about ANV’s newest Board members and activities to keep you busy as a member or volunteer through the Big Chill of 2018. This entry was posted in What's New on 01/03/2018 by Susan. This entry was posted in What's New on 09/28/2017 by Susan. ANV’s Impact Report for 2017 is available. Now more than 200 members with a 95% renewal rate, ANV’s nearly 200 volunteers provide services, organize programs and activities. Funding support from two foundations attests to ANV’s growing stability. It all demonstrates ANV’s value to the community. Check out the full details here. This entry was posted in What's New on 09/25/2017 by Susan. It’s great being a part of Arlington Neighborhood Village. Our members and volunteers are all people with fascinating stories and diverse interests. In sharing our pasts and presents, we reinforce the bonds of our community and build new links in our personal circles. ANV is not just about doing things for others, it’s about bringing people together.